Welcome everyone! We want to share a special welcome message to our Supergirl.tv, continuing Arrowverse users, and new users in general! For those that don't know us, we have been following Supergirl for over 4 years now (yes you read that right, before the show even started) and we are spreading that passion to another powerful female hero, Batwoman! Here we hope to provide you with a safe place to discuss our favorite caped-crusader away from any troll-like reactions and posts.Batwoman.tv is apart of the Hypergate Studios media group and is among sites like TheWitcher.tv and Supergirl.tv not to mention the forthcoming Stargirl.tv! Our ultimate goal is to give the fans of Batwoman a professional website experience where meaningful and respectful discourse can take place while also staying up-to-date on the most recent news, rumors, spoilers, videos, and media! 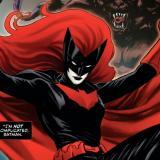 So again, welcome and please let us know if there is anything we can do to make your experience with Batwoman.tv better!